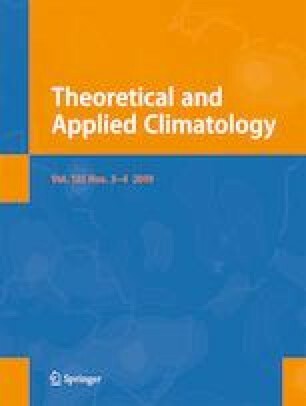 This study evaluates the performance of climate models in simulating the climatological mean and interannual variability of East Asian summer rainfall (EASR) using Coupled Model Intercomparison Project Phase 5 (CMIP5). Compared to the observation, the interannual variability of EASR during 1979–2005 is underestimated by the CMIP5 with a range of 0.86~16.08%. Based on bias correction of CMIP5 simulations with historical data, the reliability of future projections will be enhanced. The corrected EASR under representative concentration pathways (RCPs) 4.5 and 8.5 increases by 5.6 and 7.5% during 2081–2100 relative to the baseline of 1986–2005, respectively. After correction, the areas with both negative and positive anomalies decrease, which are mainly located in the South China Sea and central China, and southern China and west of the Philippines, separately. In comparison to the baseline, the interannual variability of EASR increases by 20.8% under RCP4.5 but 26.2% under RCP8.5 in 2006–2100, which is underestimated by 10.7 and 11.1% under both RCPs in the original CMIP5 simulation. Compared with the mean precipitation, the interannual variability of EASR is notably larger under global warming. Thus, the probabilities of floods and droughts may increase in the future. We thank the anonymous reviewer for his or her valuable comments and suggestions that improved the quality of this manuscript. We acknowledge the WCRP’s Working Group on Coupled Modeling, which is responsible for CMIP, and we thank the climate modeling groups for producing their model output and making it available. For CMIP, the US Department of Energy’s Program for Climate Model Diagnosis and Intercomparison provided coordinating support and led the development of the software infrastructure in partnership with the Global Organization for Earth System Science Portals. This research was jointly supported by the National Basic Research Program of China (2015CB953904) and the National Natural Science Foundation of China (41275078 and 41405077).